Alban Mecaj is one of Miami's and South Florida's most sought-after real estate broker’s in the real estate and restaurant industry. 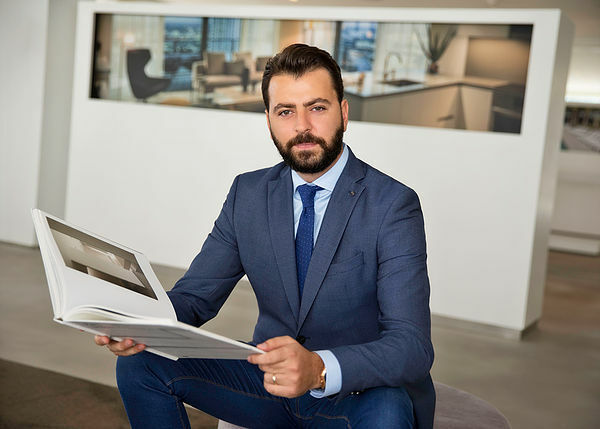 Born in Albania, Alban moved to New York City at a young age and began working in restaurants learning and absorbing himself in the real estate and restaurant industry. Speaking fluent English, Albanian, Spanish and Italian, Alban began working with clients worldwide and was quickly given the opportunity to open a new start-up restaurant in Miami. With hard work and dedication, Alban successfully turned an empty lot into one of Miami's top three restaurants and top ten in the country called Sea Salt & Pepper. Alban skillfully creates a unique business plan and approach while negotiating the best deal designed to put the clients dream into reality. As a Miami resident and local market expert, Alban gives each and every client his personalized one-on-one service focusing on building life long relationships rather than a transaction. Day or night, holiday or travel, Alban takes great measures to make sure each and every client is content and comfortable while providing exceptional customer service and availability throughout the entire buying and selling process. Alban's unparalleled professionalism, knowledge and negotiation expertise coupled with his fast-driven results make him a unique force in the industry. 2016 Zagat Award "30 Under 30"